The species is polyphagous on herbs and perhaps also grasses of its habitat. 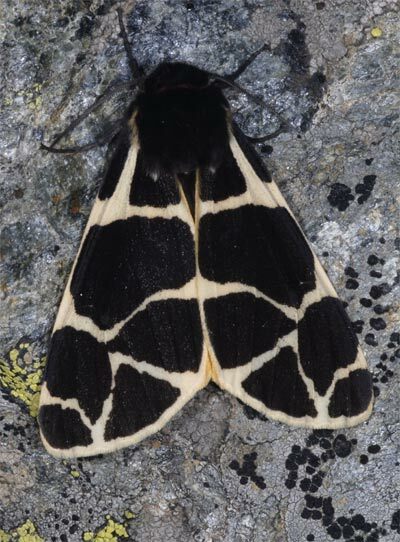 Arctia flavia inhabits the Central and Southern Alps from about 1700m above sea level upwards (rarely even deeper) with maximum between 2000 and 2700m above sea level. 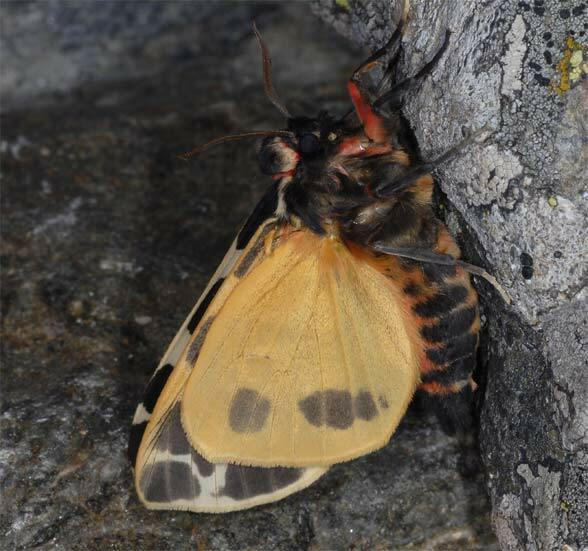 The moths and caterpillars are found especially in and on the edge of rubble and block fields, often adjacent to the glaciers along small streams. 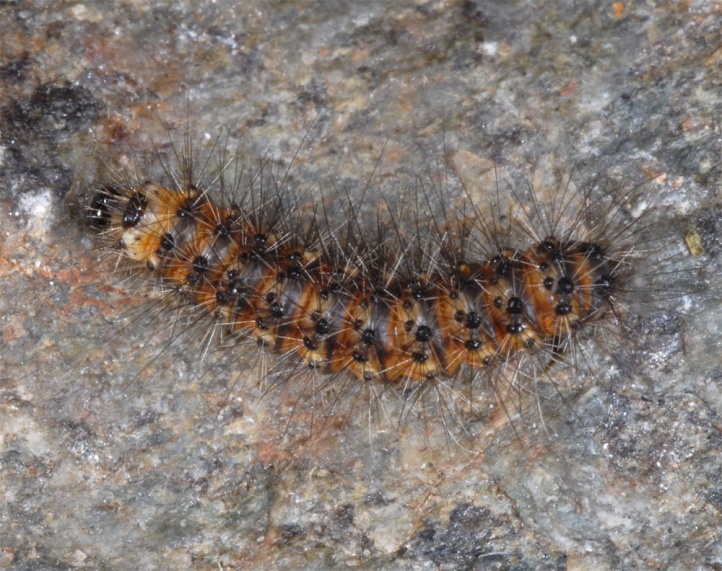 In the Swiss Valais (Mattertal, Augstbordregion) I found the caterpillar regularly on dry south-facing slopes at about 2600m above sea level under larger stones in the block fields. 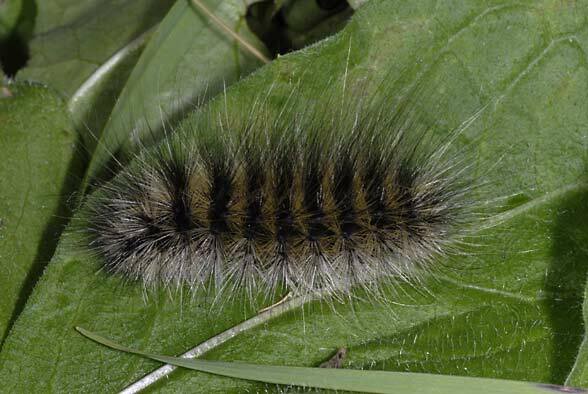 The caterpillar takes at least two years to develop. 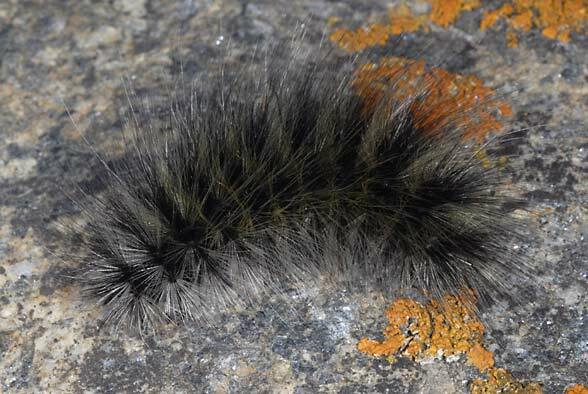 The first hibernation takes place when the catepillar is still young to half-grown and the second in last instar. 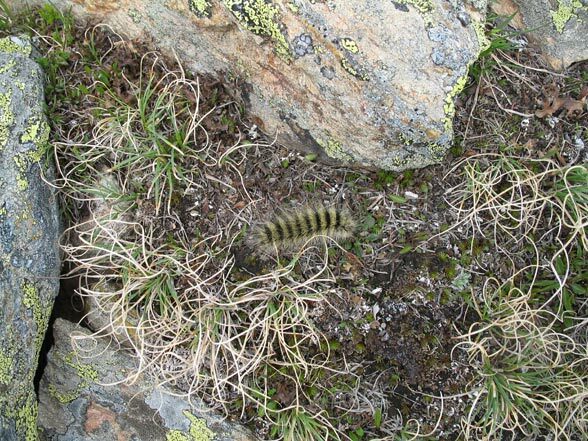 In the lowest sites that are exceptionally inhabited for a few years, only one hibernation may be sufficient in rare cases (unconfirmed in the field). 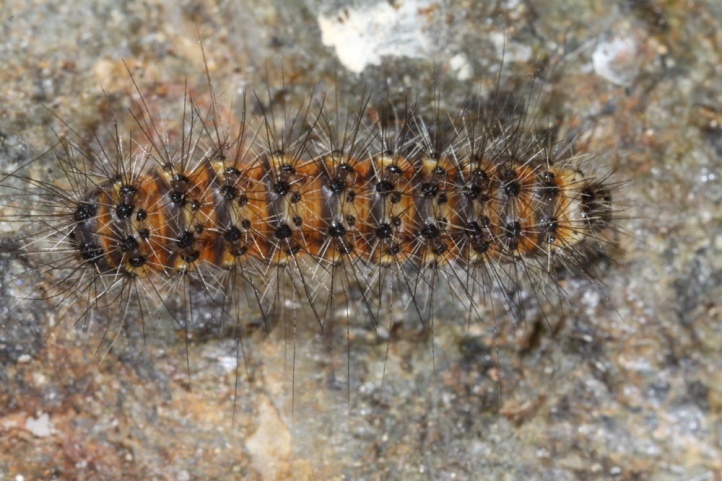 The caterpillar lives mostly hidden in rock piles at daytime, but feeds, especially in spring, also open during the day in the grassy places between the rocky pastures. 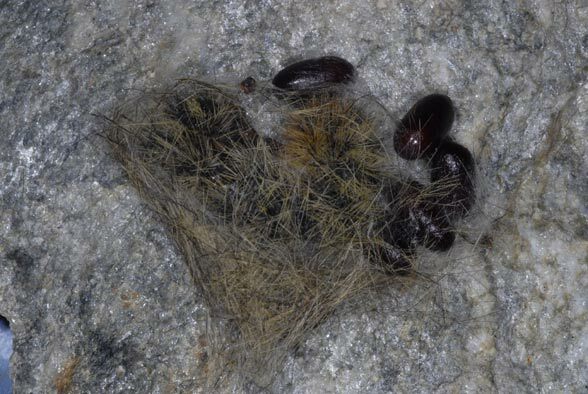 The larvae can be found under slabs primarily when moulting. 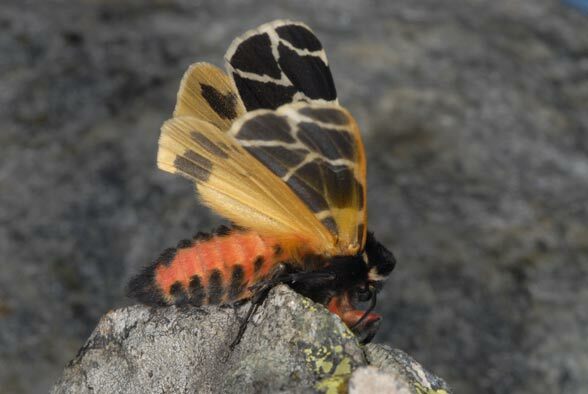 The adult flies in July and August, and may be startled occasionally during the day, as that happened to me in the Silvretta area. 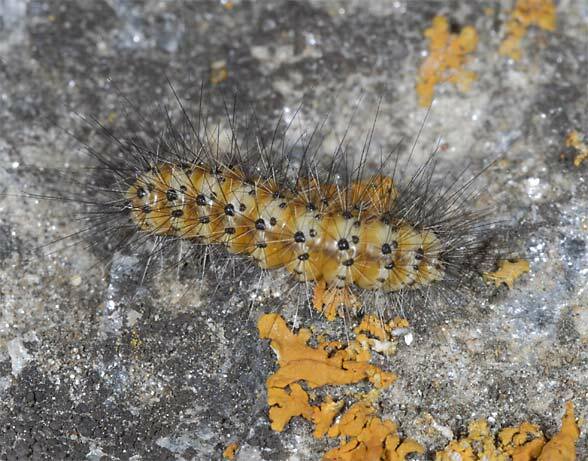 I found young to half-grown caterpillars and numerous empty pupal cocoons and eggs in the Valais several times in late August and September. 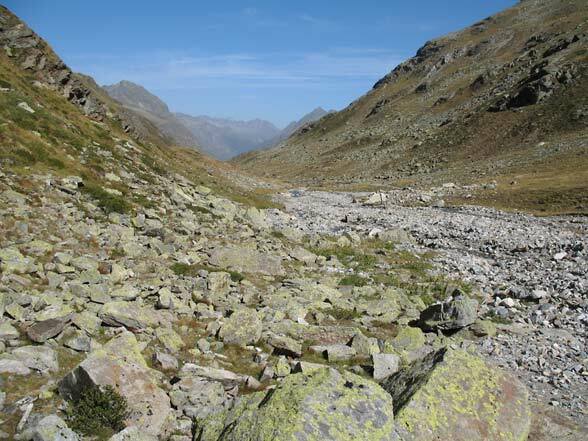 Locally, Arctia flavia is endangered by mass tourism and the accompanying devastations, but most sites are well protected due to their inaccessability. 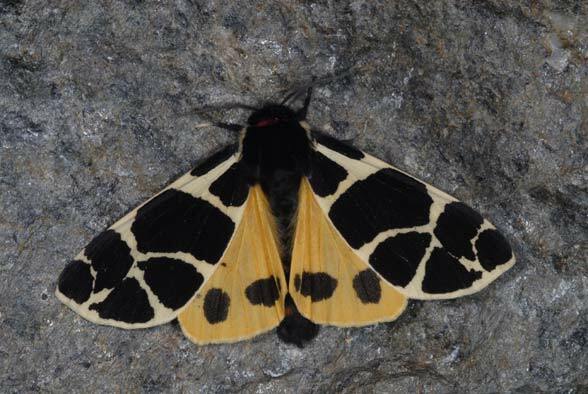 The moth is lacking in the German Alps, but it is the most widespread species among the pure high Alpine Arctiidae in the Central Alps. The frequency fluctuations are mostly due to periodic high parasitism. 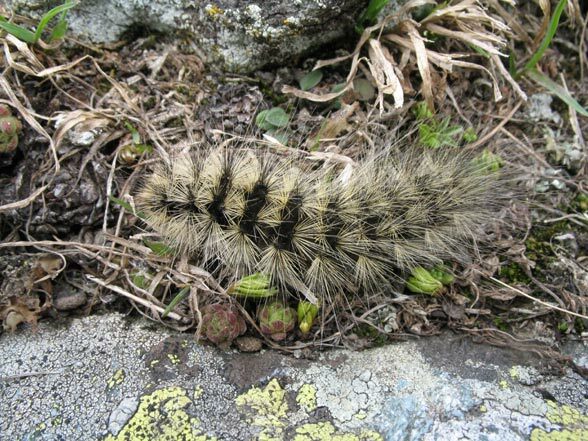 In Valais, an estimated 90% of the caterpillars have been parasitized in 2006. 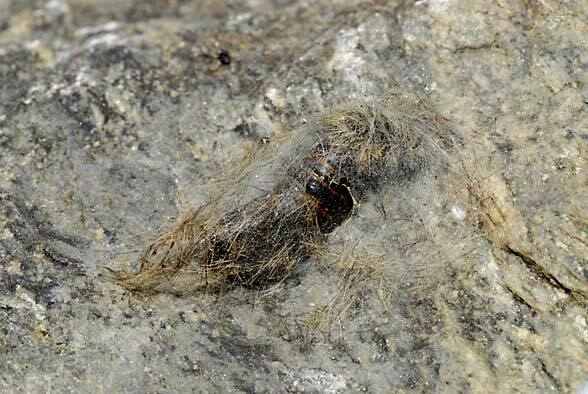 So many dead, dried larvae were found under stones, which had fallen victim to an ichneumon. This causes a leakage of body fluid in the front third of the larva so that the larva sticks to the stone and the wasp is thus provided with more optimal temperatures (solar radiation) in its development. 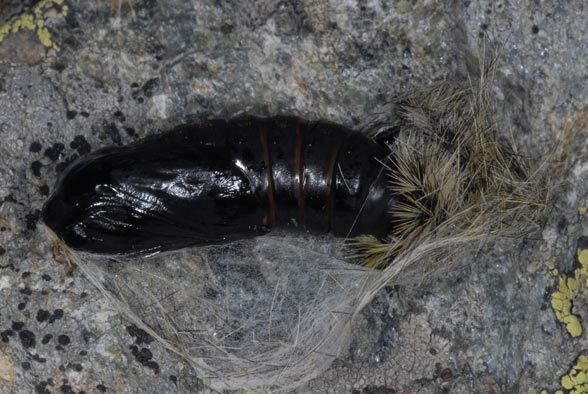 Arctia flavia can be recorded in all snow-free months by searching the pupal shelters and the dead larvae, such as on 28/10/2006 at 2600m in the Swiss Turtmanntal. The total distribution covers the French, Swiss, Italian and Austrian Alps. There are also observations from the high mountains of Bulgaria (Rila, Pirin) and from Siberia.